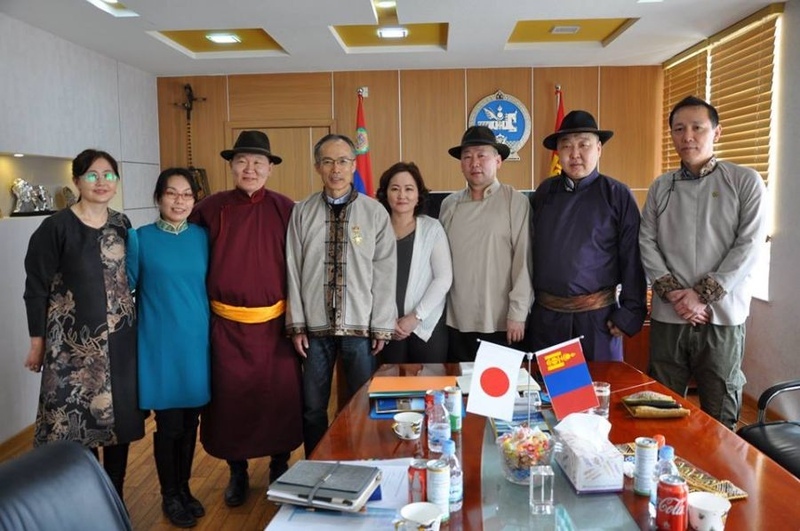 AKIPRESS.COM - Ambassador of Japan to Mongolia Masato Takaoka visited Sukhbaatar aimag on March 19. The Ambassador was received by Head of the Citizens’ Representative Khural of Sukhbaatar aimag B.Munkhbat and other corresponding officials of the aimag to discuss further partnership. Expressing his gratitude to the aimag governing body for successfully implementing projects in the frameworks of the Grant Assistance for Grassroots Human Security Projects (GGP) programme, the Ambassador came to the decision to invest MNT 200 million in the kindergarten of Tumentsogt soum this year. Highlighting that the primary focus of the projects funded by the Grassroots programme was the sectors of education and health, Ambassador Masato Takaoka expressed his willingness to partner in more projects in the future. A total of 11 projects have been implemented in the frameworks of the Grassroots programme in Sukhbaatar aimag since 1998.